With the emerging technologies of Internet of Things (IOTs), the capabilities of mobile devices have increased tremendously. However, in the big data era, to complete tasks on one device is still challenging. As an emerging technology, crowdsourcing utilizing crowds of devices to facilitate large scale sensing tasks has gaining more and more research attention. 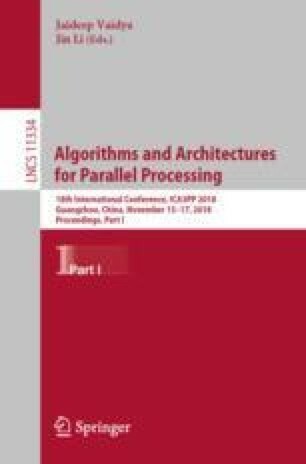 Most of existing works either assume devices are willing to cooperate utilizing centralized mechanisms or design incentive algorithms using double auctions. There are two cases that may not practical to deal with, one is a lack of centralized controller for the former, the other is not suitable for the seller device’s resource constrained for the later. In this paper, we propose a truthful incentive mechanism with combinatorial double auction for crowd sensing task assignment in device-to-device (D2D) clouds, where a single mobile device with intensive sensing task can hire a group of idle neighboring devices. With this new mechanism, time critical sensing tasks can be handled in time with a distributed nature. We prove that the proposed mechanism is truthful, individual rational, budget balance and computational efficient. The paper is supported by the NSFC under Grant No. U1709217 and 61472385. This work was also supported by National Natural Science Foundation of China under Grant No. 61702115 and China Postdoctoral Science Foundation Fund under Grant No. 2017M622632.